We believe strongly in creating a sense of community with our members and would like to offer this unique opportunity to become a thought leader in a community that is rich with CISOs, CIROs, academics, and other established cyber risk professionals. With a well-established membership of over 700 members, the FAIR Institute continues to grow every month. We've also seen increased participation after the release of the proposed Cyber Risk Management enhanced standards, which gave a nod to FAIR back in October. Wish to share your knowledge? Want to become a FAIR thought leader? We are looking for contributors who are currently using FAIR in their organization. Whether you are the CISO presenting FAIR results to the board, or the manager scoping risk analyses, there are others in the industry who are faced with the same challenges you have overcome and would benefit from your insight. 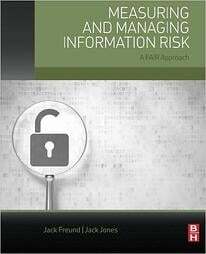 The benefit would be providing different perspectives in a market where education and training on quantifying information and operational risk, would enhance the risk management market and learning and adoption of FAIR around the world. Becoming a regular contributor could provide with an audience and means of establishing yourself as a bona fide expert in cyber risk quantification. Demand and interest in the FAIR Institute are on the rise, and we regularly post blogs that speak directly to the needs and interests of FAIR members. Please submit your blog ideas. Topics could include stories about FAIR adoption, comparison of life before and after FAIR, or lessons learned with FAIR. Blogs posts should be of no more than 500 words in length. 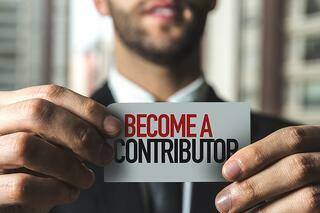 If you are interested in becoming a contributor, please contact us via the button below.